Delhi is home for all workaholic peoples from all over India. Life of Delhi is a bit tough and peoples have their fixed job schedules and lifestyle but in spite of all this they have some picnics and trips and also some late night events and parties. So for coming summer vacations we have some new picnic spots for you to enjoy in Delhi. Delhi is a complete package of places including some cultural touch with famous temples, some historical touch with old places and monuments, some party places for youngsters and for kids water parks and zoo are there to enjoy in coming summer vacations. The locations which you can visit Delhi with your family and friends includes Lotus Temple, Akshardham, National Gallery of Modern Art (NGMA), Tughlaqabad Fort, Tomb of Safdarjung, Purana Quila and National Zoological Park, Agrasen ki Baoli, Garden of five Senses, Hauz Khas Village and deer park, Iskcon Temple, Nizamuddin Dargah and Nizamuddin ki Baoli, Lodhi Garden, Paharganj, Sarojini Market, Lajpat Nagar, Dilli Haat, India Gate, Qutub Minar, Red Fort, Chandani Chowk, Humayun’s Tomb, Rashtrapati Bhawan, Connaught Place, Mandi house, Bangla Sahib Gurudwara, Rajghat etc. Some detailed information regarding few places is mentioned below. 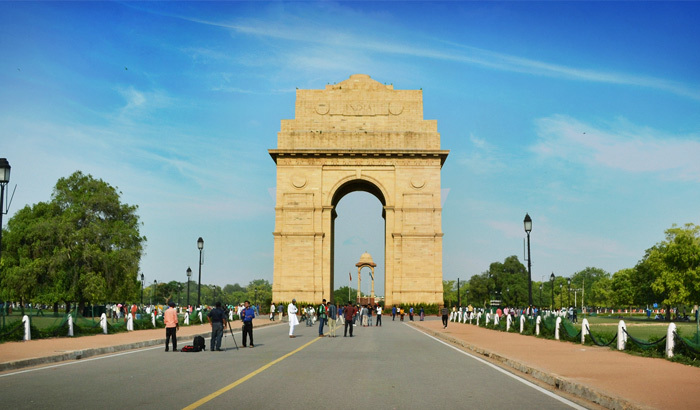 (All India War Memorial) popularly known as India Gate was established on 10th Feb 1921. It was built in memory of 70000 soldiers who died during First World War. The flame of immortal soldiers or Amar Jawan Jyoti erected under the India Gate in memory of soldiers sacrificed in the defence of their mother land against Bangladesh in 1971. India Gate is 42 Metre tall and 625 metres in diameter, generally the best time to visit India gate is in the evening when tricolour lights of our national flag covers it and its looks much beautiful. Daily you can see a huge crowd over there with your family or friend you can enjoy there. 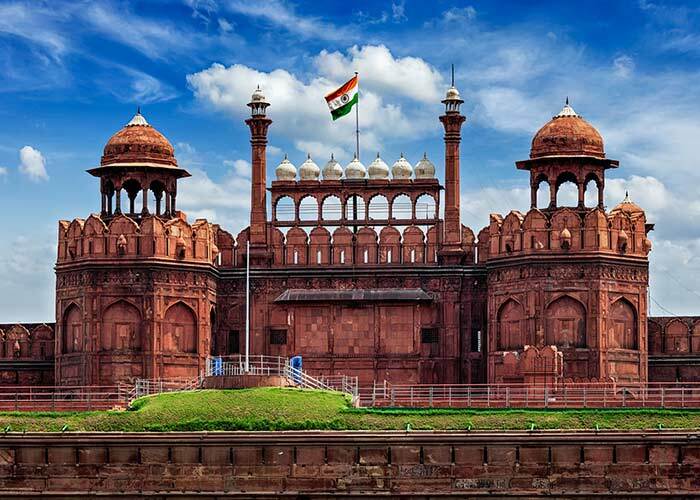 Red Fort is also one of the historical places to visit. It was constructed under Mughal Emperor Shah Jahan in 1638. Earlier it was named as ‘Quila-i-Mubarak’ or the blessed Fort, Royal Family of Mughal Emperor used to live there. It is situated on right bank of Yamuna River and made up of red stone and marbles. After freedom of our country every year on Independence Day the Prime Minister of our Country hoists the national flag on main gate and delivered a speech for country. There are many different parts of Red Fort like Moti Masjid, Hamman, Lahori Gate and many others. 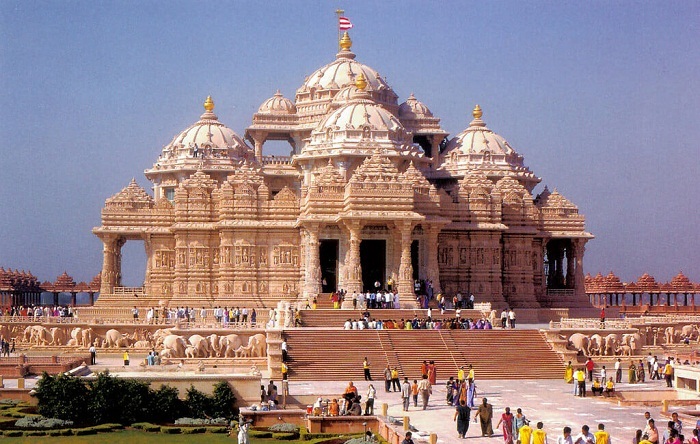 Swaminarayan Akshardham Temple is popularly known as Akshardham of Delhi was established on 6th November 2005 and Inaugurated by Dr. APJ Abdul Kalam. Its architecture is jaw dropping and beautifully designed as a open lotus. Abhisheka Mandap and Sahaj Aanand Mandap is one of the best parts of it to enjoy. Every year’s lakhs of people from worldwide comes to visit Delhi and certainly they visit this temple also. It’s really one of your enjoyable evenings to go there and also convenient to reach there from any part of Delhi via Metro. Really to roam Delhi in a day is really tough so plan your picnics with your loved once twice a month and enjoy. For the coming summer holidays you can plan to go and visit some water parks and many other locations. It’s really convenient now to reach any location in Delhi from any part as most of the locations are connected to each nearby metro stations. Reaching Delhi is easy via any international airport. It is well connected by trains in any part of India and also you can explore it via Maharaja Express Luxury Train. Hope you enjoy your coming summer vacations with your loved ones, all the best.